Referrals for ultrasound, hospital or specialty care. Dr. Behrens has agreements with a few area hospitals that allow him to use their services for his existing clients on an as available basis. If hospitalization is required for a procedure, Dr. Behrens will arrange to pick up your pet and transport them to and from the hospital. He is solely responsible for their care. The ability to provide a comfortable end to a pet’s life is one of the most loving things we can do. It is also a very personal and difficult decision. No one wants their loved one to suffer. However, it is impossible for our pet to communicate how they feel. Sometimes we see changes in daily routines, lack of energy or loss of appetite. But suffering is a very subjective concept. Various members of the family may have differing expectations. Some may not be willing to let go until the last possible moment. In reality, for most, it is only possible to know the right time has come once it has passed. At that point, regret and guilt tend to dominate our emotions. At home euthanasia allows the family to say goodbye in a comfortable, familiar setting with the least amount of stress. It allows you to feel some amount of control over a process that is inherently uncontrollable. While it may be impossible to repay the unconditional love offered by a pet, at home euthanasia can allow the family to provide a dignified, respectful exit as a final loving gift. Euthanasia housecalls start like any other visit with history and a physical exam. However, Dr. Behrens respects that your pet’s comfort is of paramount importance and every consideration will be made to ensure that this process is void of stress. Payment is taken before proceeding. The actual euthanasia procedure can be performed wherever you or your pet are most comfortable. Initially, an anesthetic injection is administered. This is done to prevent pain and ease your pet’s transition. Once they are relaxed, an intravenous injection of a barbiturate euthanasia solution is provided that will provide a painless death. 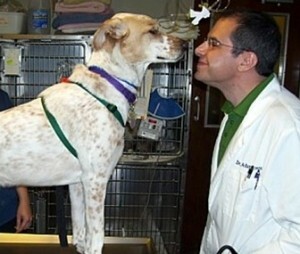 Dr. Behrens can take your pet’s body once everyone has said their goodbyes. Aftercare is available in the form of private or public cremation. Private cremation provides ashes in a customizable urn. These ashes are guaranteed to be from your pet alone and are returned within two weeks. Public cremation means that your pet is cremated with others and their ashes are buried together. The choice of aftercare can be made at the time of the appointment. Regardless of the cremation option chosen, Dr. Behrens will handle the removal of the body and take care of all details. Service 1-20 lb. 21-50 lb. 51-75 lb. 76-99 lb. > 100 lb. All prices are fully inclusive for the euthanasia appointment and should be paid at the beginning of the appointment by cash, check, or major credit card. If you are looking to make an in memoriam donation, Dr. Behrens recommends San Francisco Aid for Animals. They seek to provide financial assistance to eligible owners of San Francisco pets with curable medical conditions.